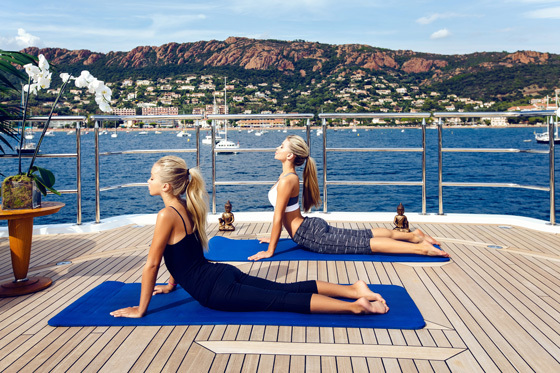 Whether it is due to people awakening to the benefits of yachting or the general movement towards wellness, either way, yoga and wellness onboard are the latest in the wave of yachting trends. 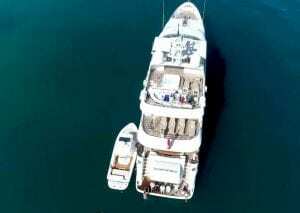 It makes sense; on the yacht you have complete control over your itinerary, activities and menu. You have privacy and plenty to inspire the mind, body and spirit. 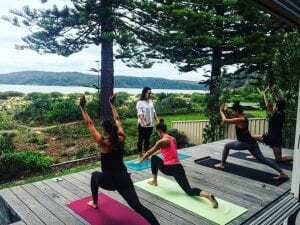 After her personal research, our resident yogi and Charter Experience Manager, Laurie Foulon, has compiled her favourite yachting destination for yoga enthusiasts. The not-so-little sister of Bali, Sumba is located where the Savu Sea meets the Indian Ocean. The southern coast is home to the legendary left-hand break, Occy’s Left – named after Australian surfer, Mark Occhilupo. It is also where you will find one of the world’s most awarded yoga and eco retreats, Nihi Sumba. With all the beauty of Bali and none of the development, this island is a breath of fresh air for those seeking a renewal. 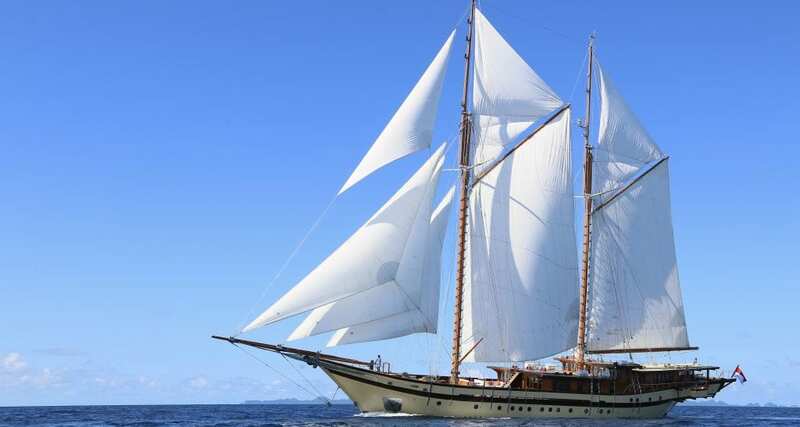 S/Y LAMIMA is well versed with Indonesia and Ocean Alliance can devise the perfect itinerary for discovering southern Indonesia including a yoga retreat. Nestled in the shadow of the common pathways of the Greek archipelago, is Silver Island; a private haven dedicated to yoga. The isolated sanctuary only accepts 10 guests at one time for a strict yoga regime tempered with plenty of time to discover the bays and beaches. 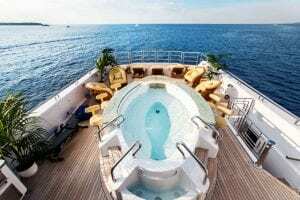 It would be a waste to go all the way to rejuvenate yourself and not then enjoy the rest of the Greek Isles onboard a charter yacht as lavish as M/Y SEANNA. The Maldives are clearly a yachting paradise of crystal waters, silky sand and thousands of coral atolls to discover. 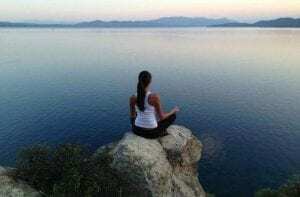 It is also an ideal place of peace and tranquillity to engage in some Ayurveda and yoga. The Four Seasons (located in Landaa Giraavaru) offers wellness packages for the individual or couples looking to augment their yachting holiday. Meanwhile, the modern yachting classic M/Y NORTHERN SUN, will be your sanctuary of privacy and ultimate self-care. Tasmania is under valued as a yachting charter destination. For those who venture to the island, they reap the benefits of an island of which 55% is protected wilderness as well as producing some of Australia’s most sumptuous seafood, wine and fruit. Situated on the east coast is the picturesque Freycinet Peninsula and Saffire Freycinet luxury sanctuary. With no other structure or living being in sight, you can indulge in their wellbeing programme. The newest yacht to the Australian charter market, M/Y ONEWORLD, has an impressive itinerary scheduled including Tasmania. Kokomo Island is the labour of love of a notable Australian yacht Owner who wanted to create a private island escape which harnessed the natural beauty of Fiji and combine it with modern luxury. It is hard not to feel rejuvenated in the tropical lushness of this island however, Kokomo’s Wellness treatments will cleanse the body and soul. M/Y SILENTWORLD is a frequent visitor to Fiji and Kokomo Private Island and has the added benefit of maximising your time onboard, under and on the azure waters. Ocean Alliance is in the business of delivering the unique experiences onboard yachts. If you are seeking to expand your horizons and enrich your life through yachting, contact the team to discuss your needs. Images courtesy of Silver Island Yoga Retreat, Four Season Maldives, Saffire Freycinet and Kokomo Private Island.